Learn how to complete your very own GSA Schedule with GovernmentContractingTIips.com instructional packet. This packet will not only walk you through System for Award Management (SAM) but will help you pick a GSA Schedule, show you how to receive your Digital Certificate from eMod and help you submit all your required documentation into eOffer. GSA Schedule Contracts — aka the Federal Supply Schedules — are indefinite-delivery and indefinite-quantity long format contracts that the General Services Administration (GSA) uses. As of December 2016, there are 18 GSA schedules and an additional six schedules specific to the Veterans Administration (VA). GSA Schedule Contracts are the most widely used government contract vehicle. Small businesses account for 80 percent of all GSA Schedule vendors. Small businesses generate an estimated 36 percent of sales. More than 19,000 GSA MAS contracts are currently available. GSA Schedules are fast, easy, and effective contracting vehicles for customers and vendors. GSA establishes long-term governmentwide contracts with commercial companies to provide access to millions of commercial products and services at volume discount pricing. 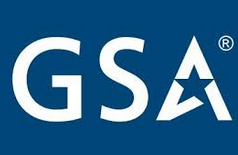 You can order products, supplies, and services from GSA Schedule contractors or through the GSA Advantage! online shopping and ordering system. Customers contract with pre-approved vendors and benefit from “most-favored customer” pricing with GSA Schedules (including Multiple Award Schedules) and Federal Supply Schedules (FSS). Vendors can connect with a wide range of government opportunities. The Schedules program mirrors commercial buying practices, so customers can easily comply with federal procurement rules and regulations. Each GSA Schedule is composed of Special Item Numbers (SINs), which is a categorization method that groups together similar products, services, and solutions to aid in the acquisition process. Schedules are Indefinite Delivery, Indefinite Quantity (IDIQ) contracts that provide for an indefinite quantity of supplies and services during a fixed period of time. These types of contracts help streamline the contract process and speed service delivery. Schedule descriptions are included on the government’s List of Schedules. This List provides links to further information at GSA eLibrary and to solicitation information at FedBizOpps. Veterans Affairs (VA) Federal Supply Schedules are also listed at GSA eLibrary. GSA has delegated authority to the Department of Veterans Affairs to produce medical supplies under this program. Two major federal regulations determine policy for the GSA Schedules program. Federal Acquisition Regulation (FAR) – The GSA Schedules program is prescribed in FAR Subpart 8.4 and FAR Part 38 of the Federal Acquisition Regulation (FAR), which codifies policy for federal acquisition of supplies and services. GSA, NASA, and the Department of Defense share authority to issue or revise the FAR. General Services Administration Acquisition Manual (GSAM) – The General Services Administration Acquisition Manual (GSAM) covers GSA acquisition policies and practices, contract clauses, solicitation provisions, and forms that control the relationship between GSA and current or prospective contractors. Products Compliant with the Trade Agreements Act. End product must be manufactured or substantially altered within the U.S. or a ‘designated country’ as defined by the Trade Agreements Act. GSA Advantage! is the online shopping and ordering system that provides access to thousands of contractors and millions of supplies (products) and services. Anyone may browse on GSA Advantage! to view and compare the variety of products and services offered. State and local government entities can use GSA Advantage! to purchase products and services under the Cooperative Purchasing Program and the Disaster Recovery Purchasing Program. Payments for state and local government purchases on GSA Advantage! are limited to credit card payments using a credit card issued by a state or local government. To read more about the GSA Advantage!, please click here.